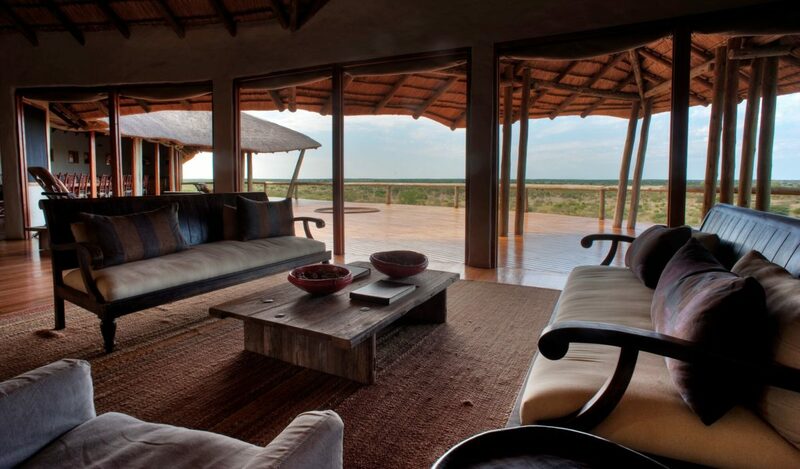 Romantic, remote, seemingly infinite, enigmatic and surprisingly full of life. 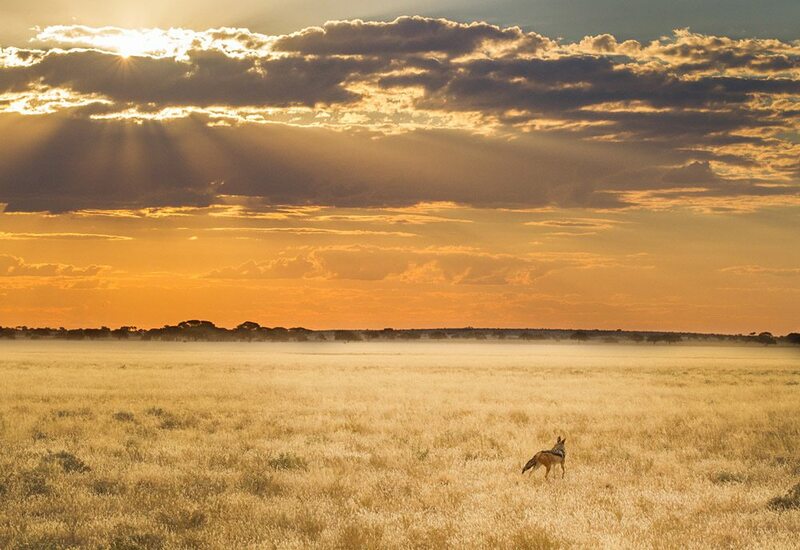 Not a true desert, the Kalahari reveals its secrets slowly to those that deserve. 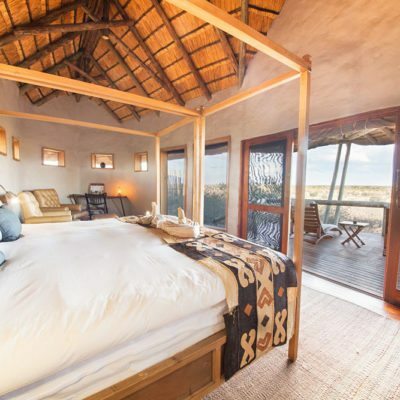 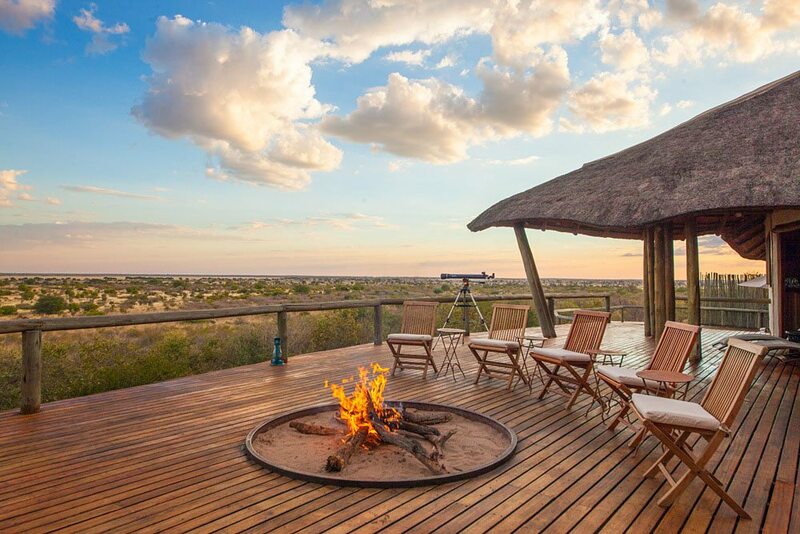 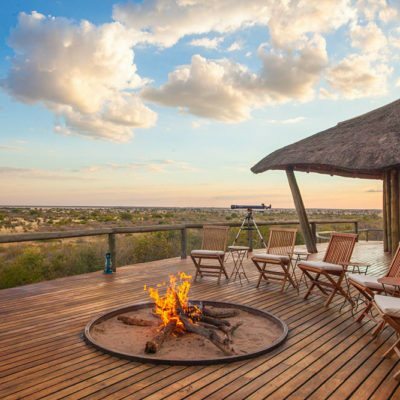 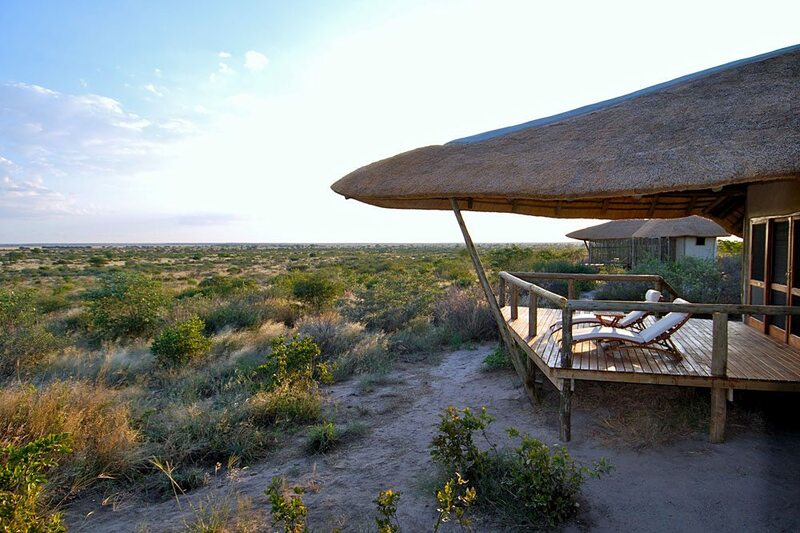 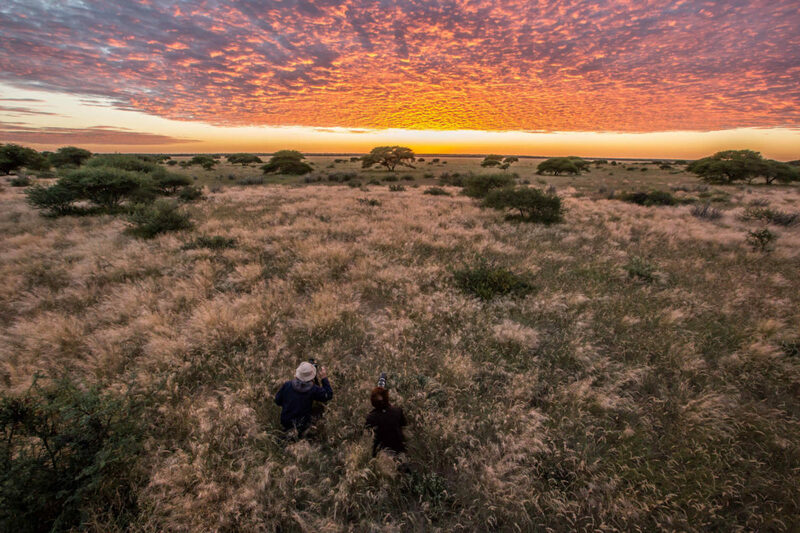 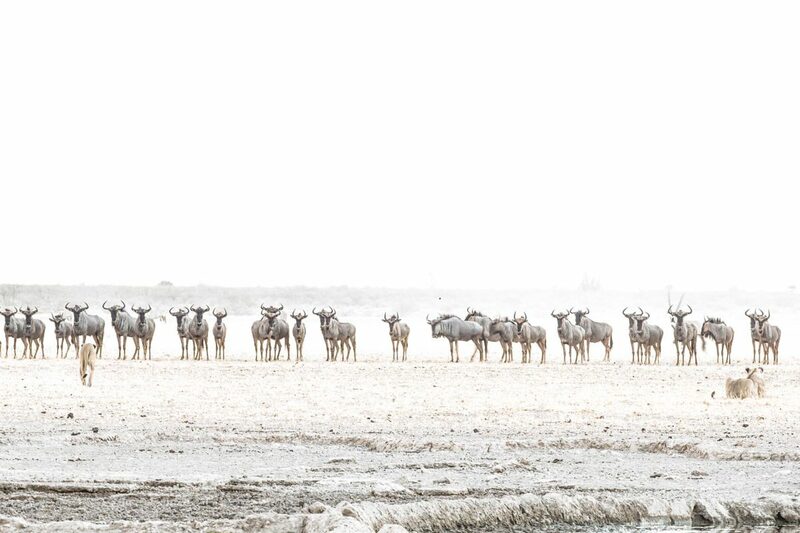 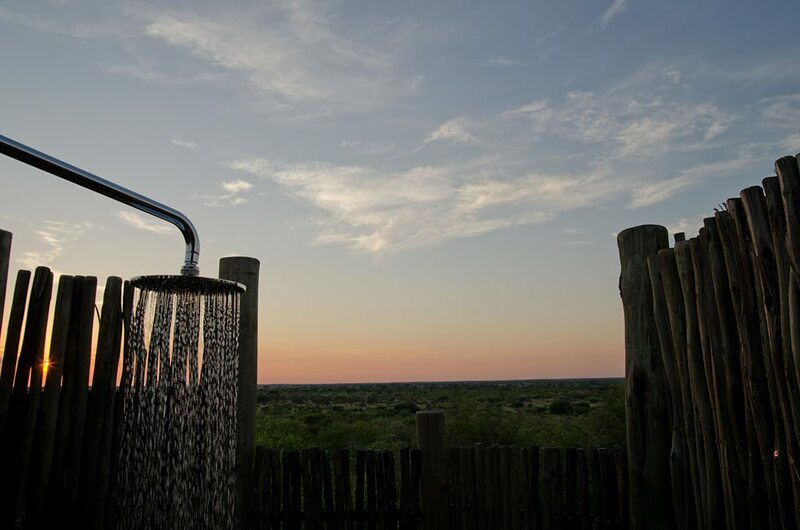 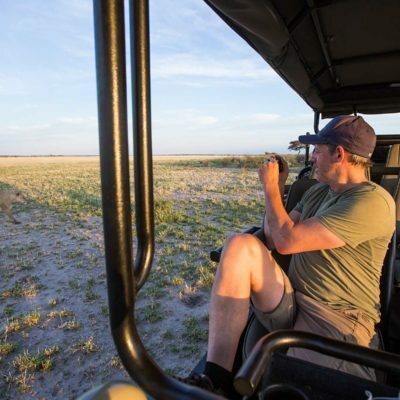 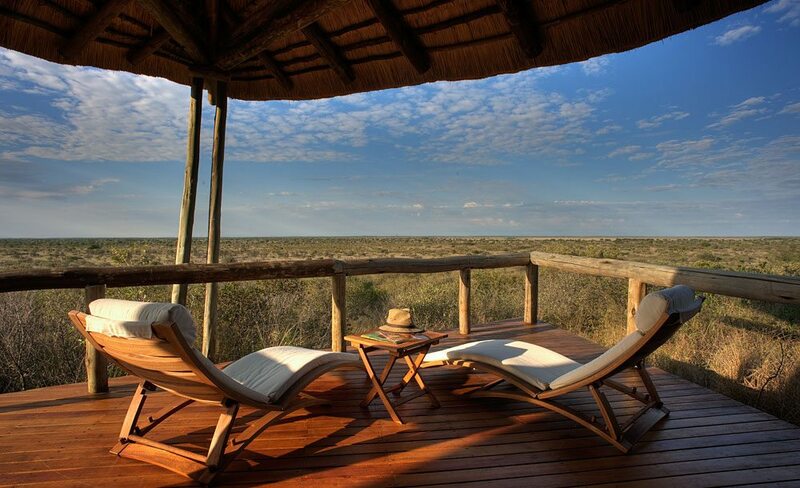 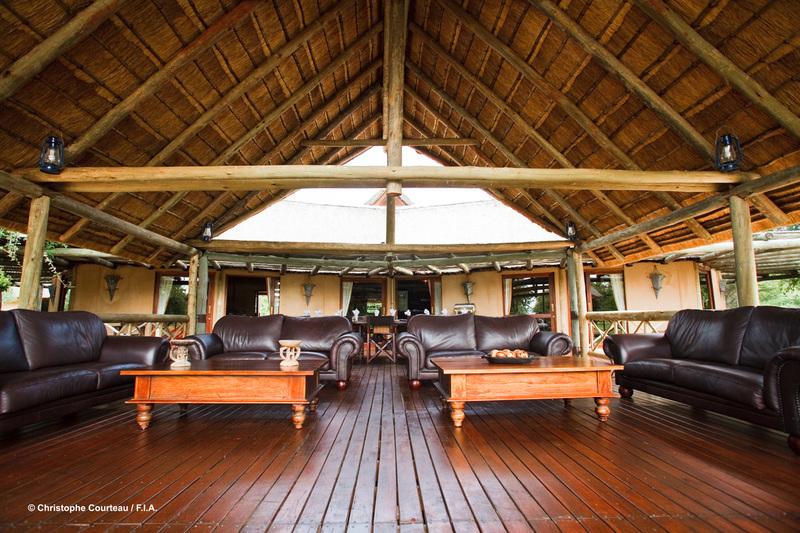 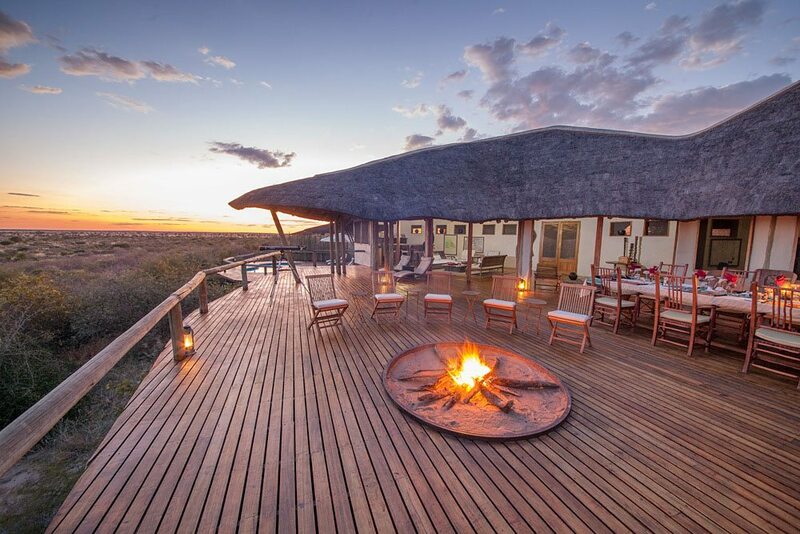 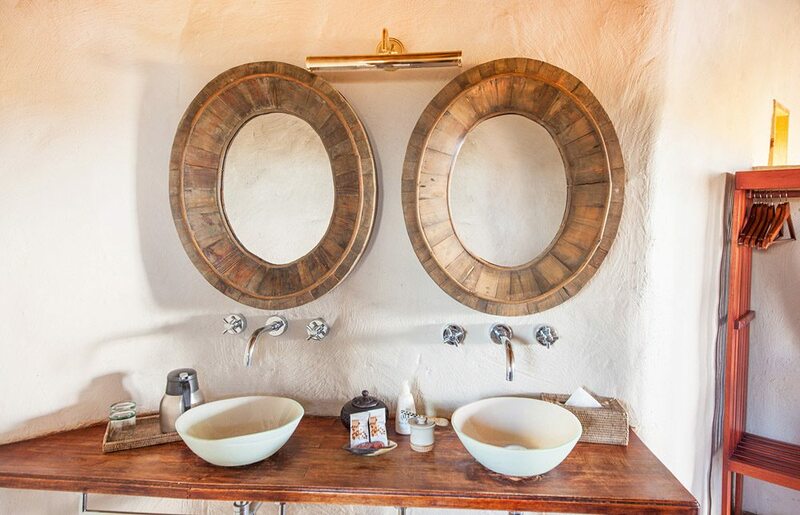 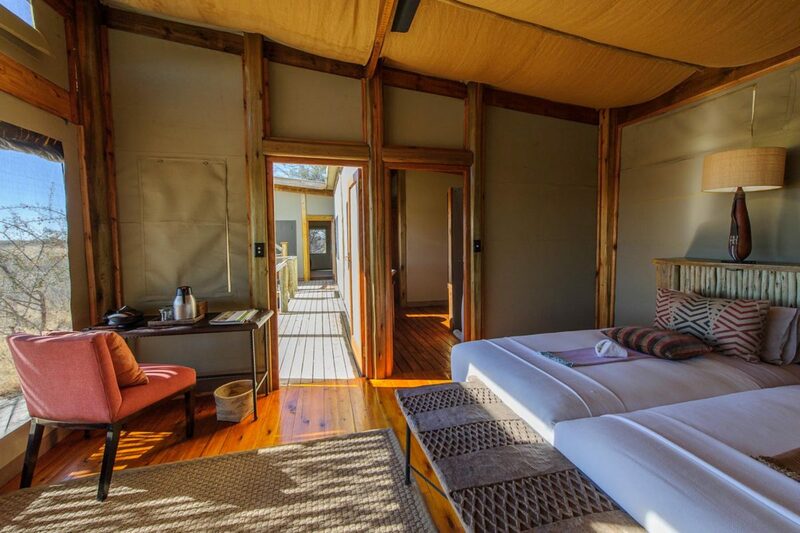 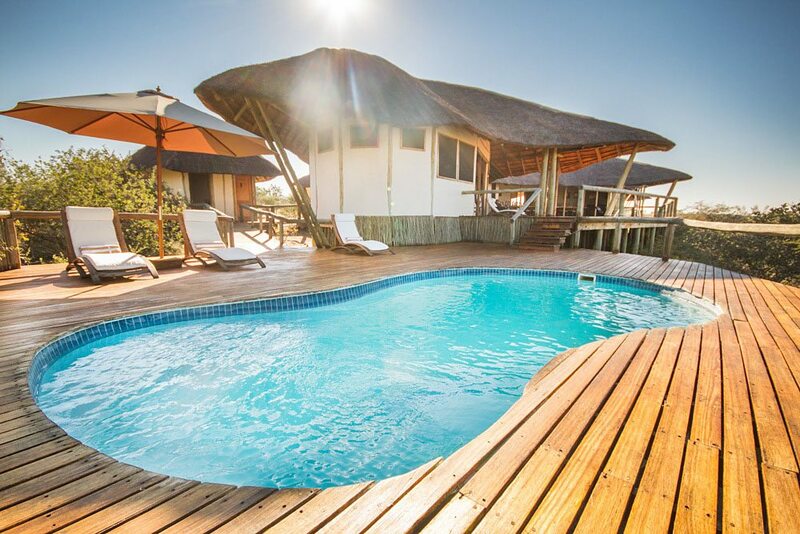 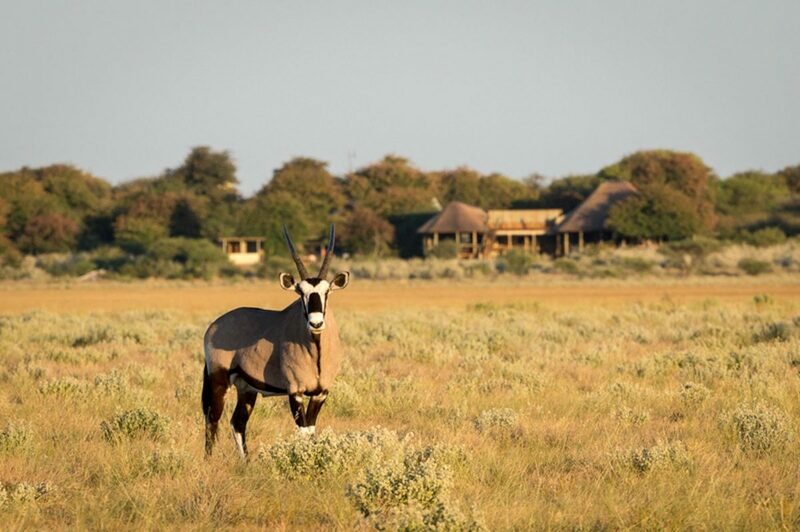 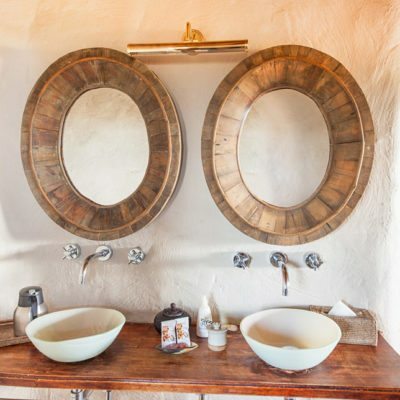 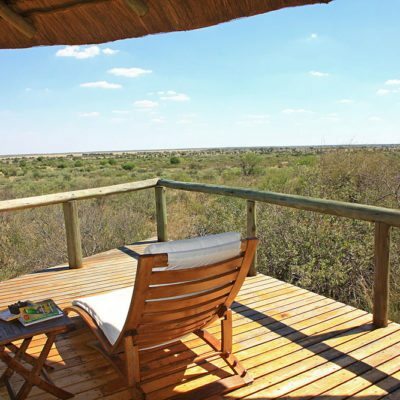 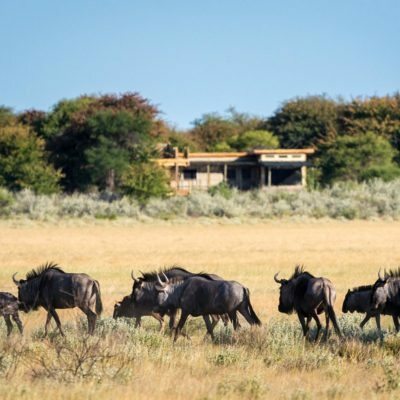 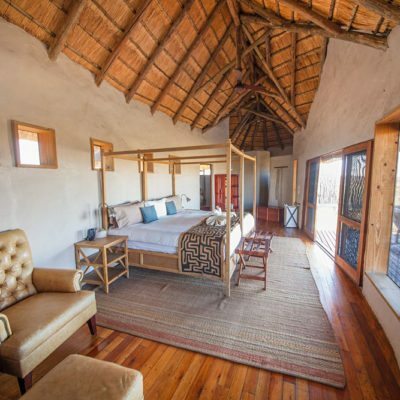 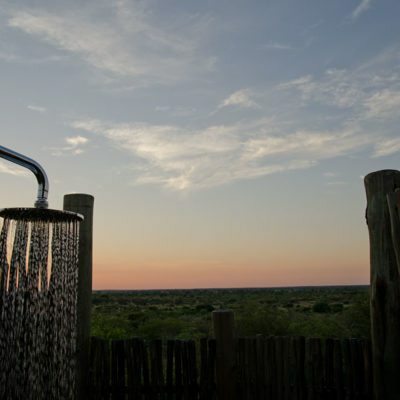 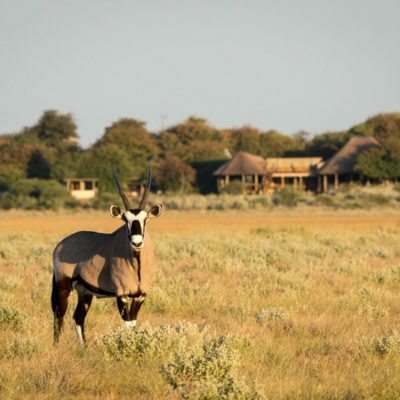 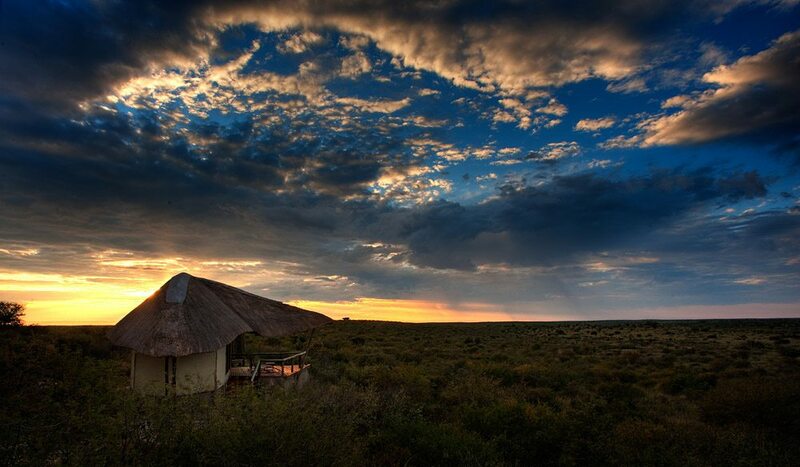 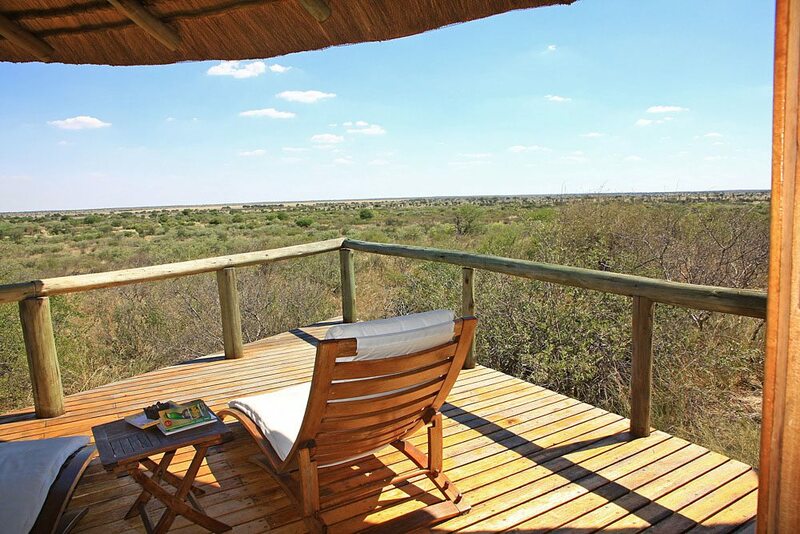 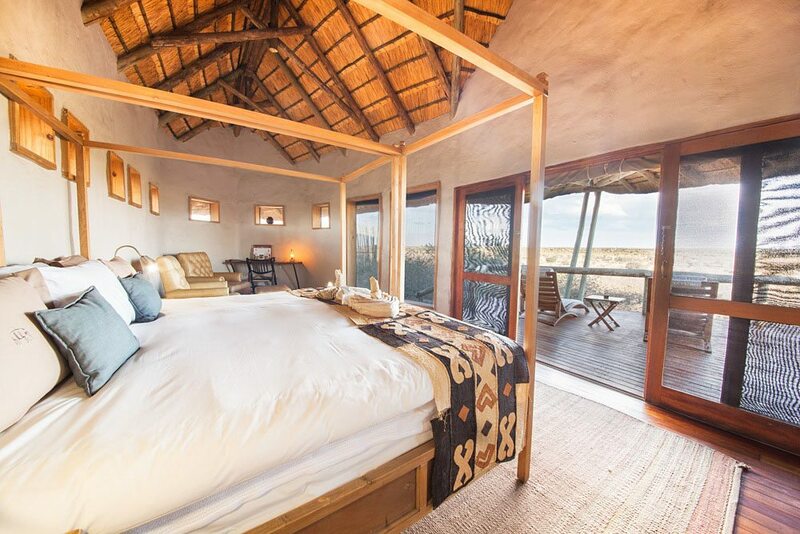 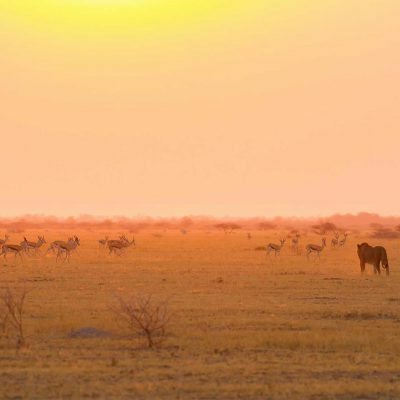 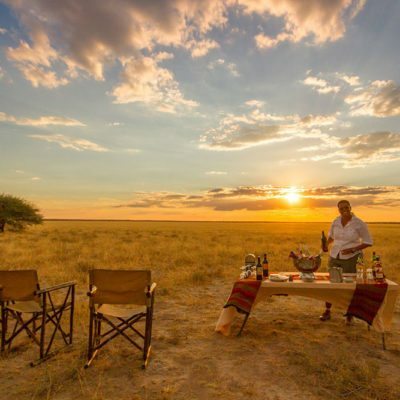 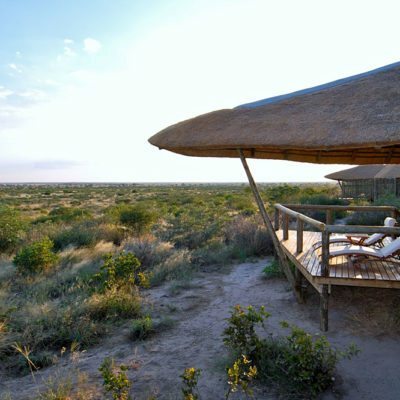 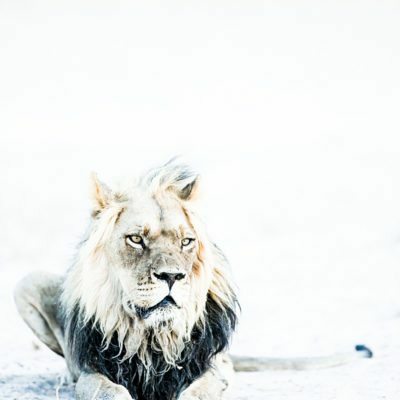 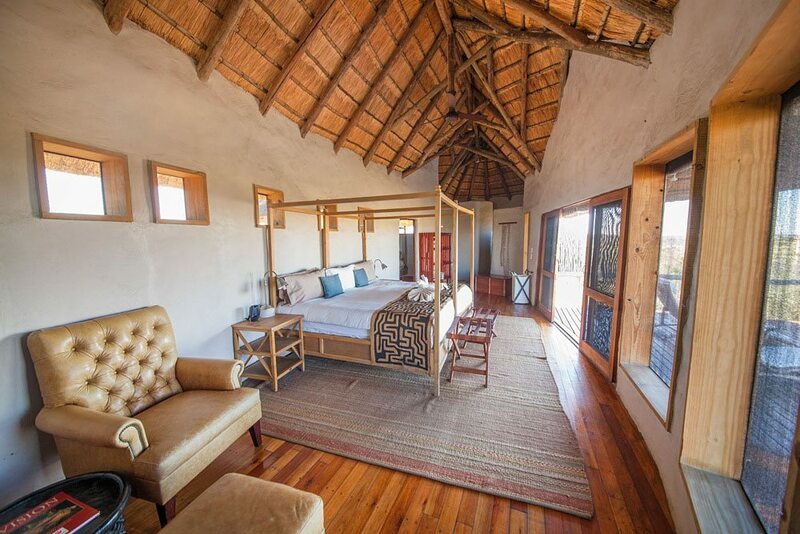 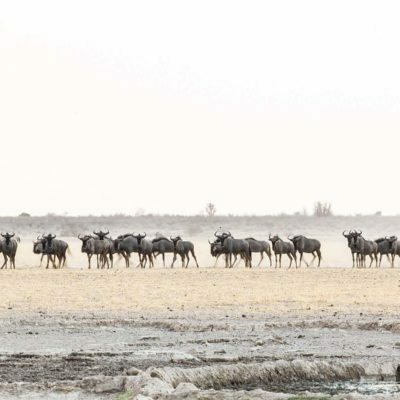 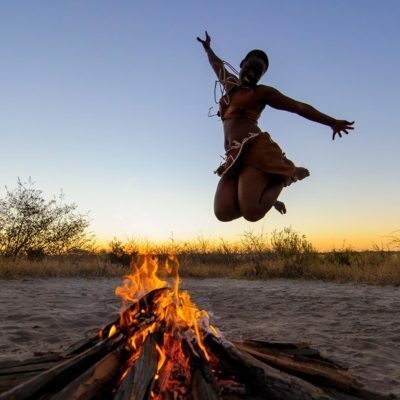 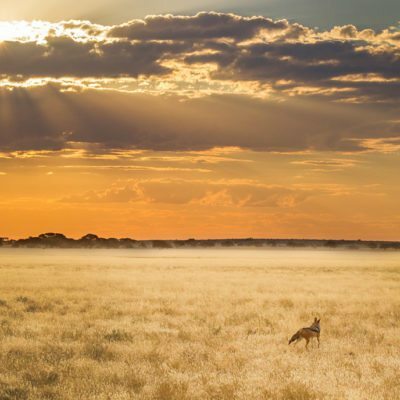 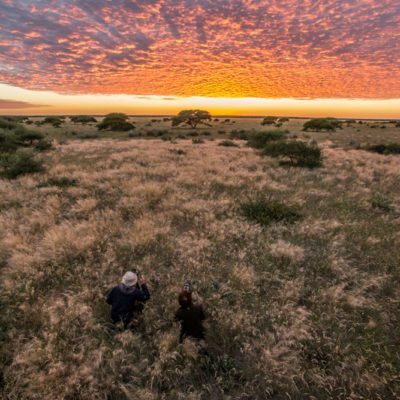 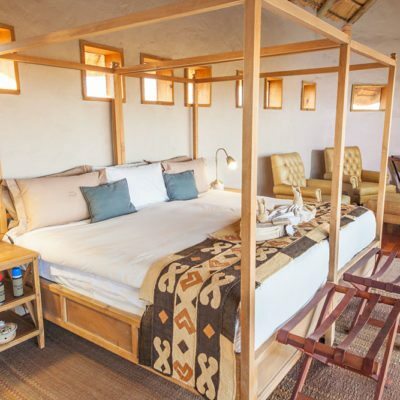 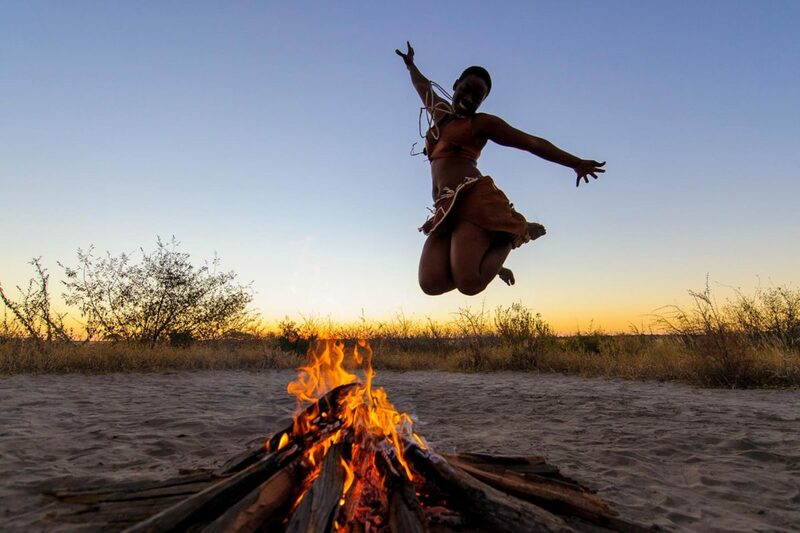 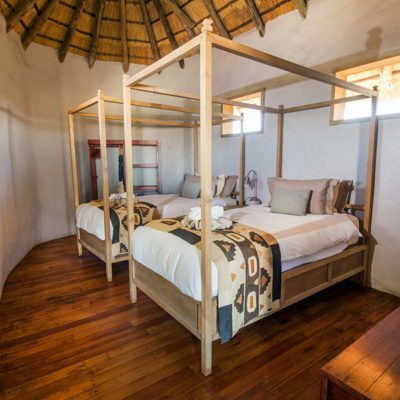 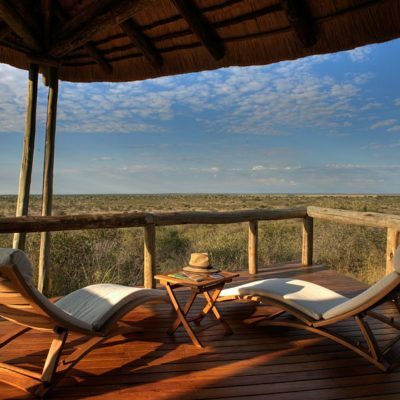 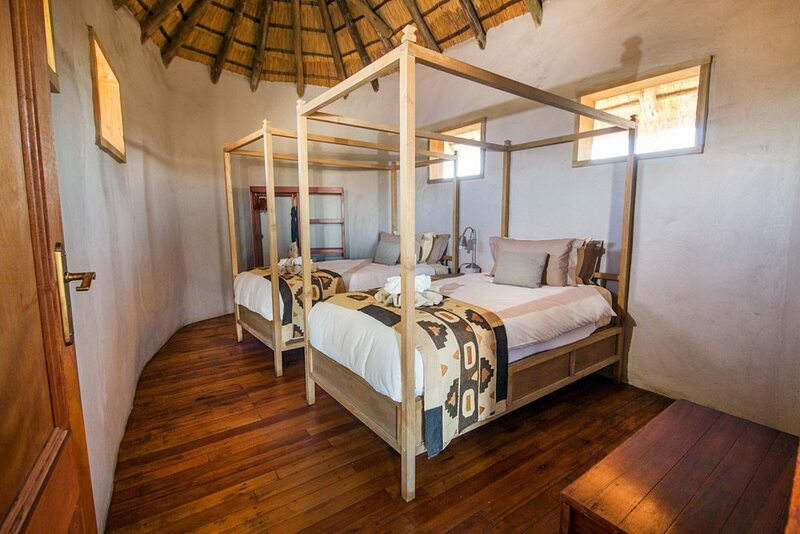 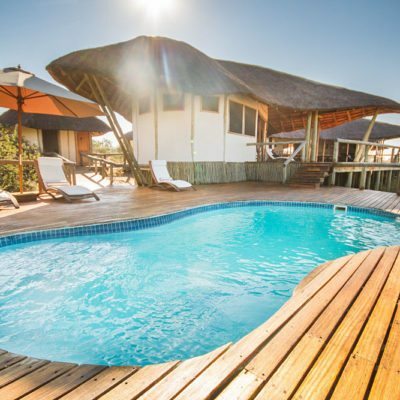 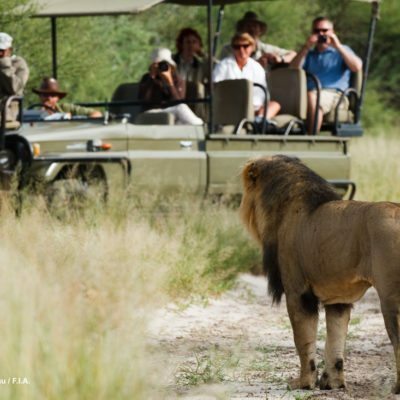 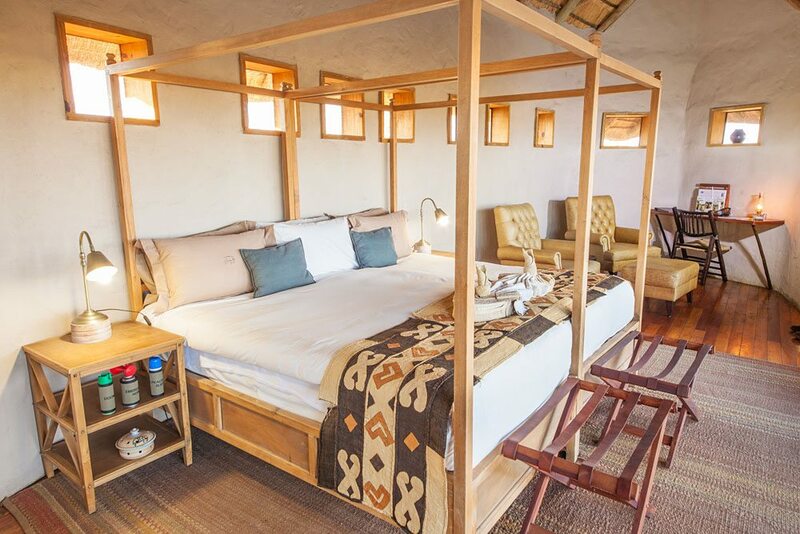 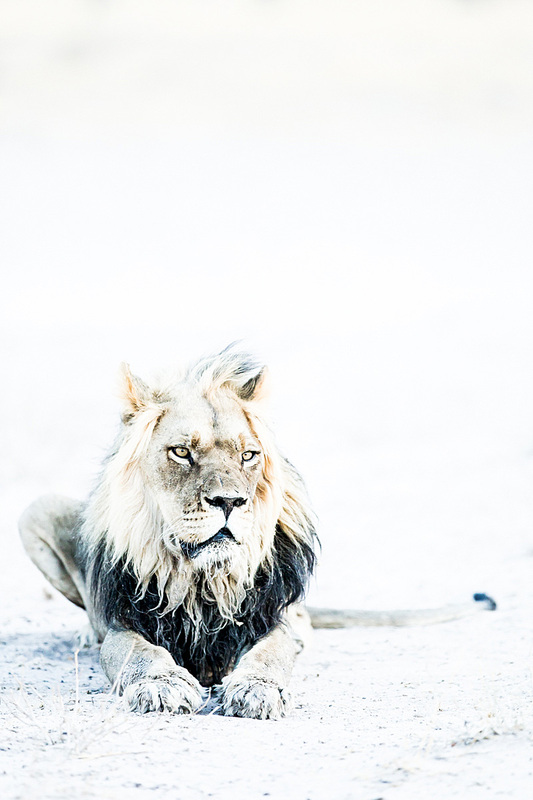 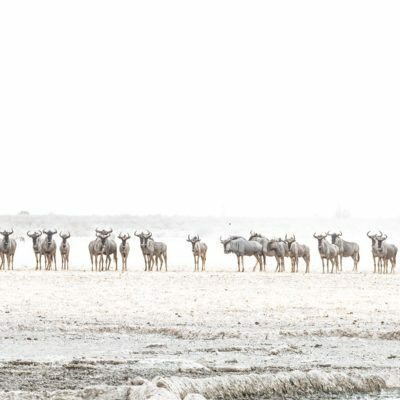 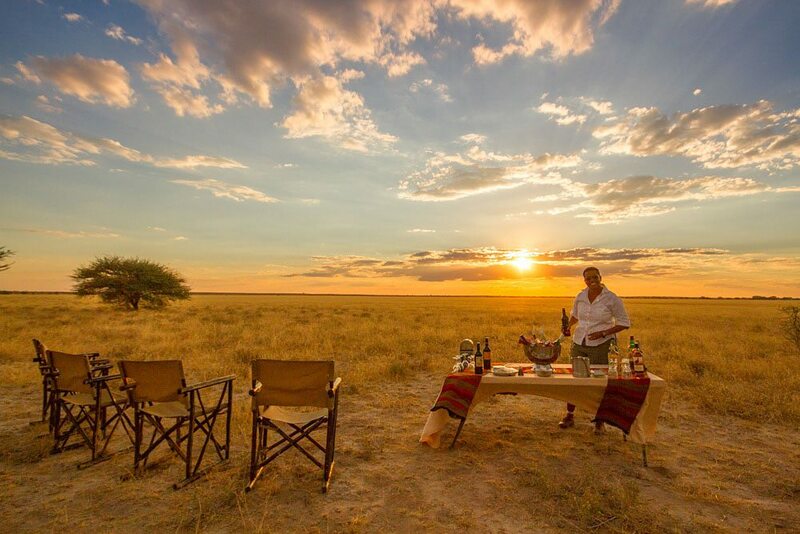 For peace, solitude and freedom, the Central Kalahari Game Reserve (CKGR) is inspirational. 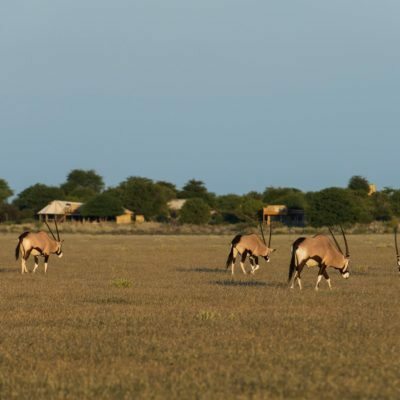 Well off the beaten track, this remote park has remained isolated from tourist routes for many decades, its solitude ensured by a lack of available fuel and water. 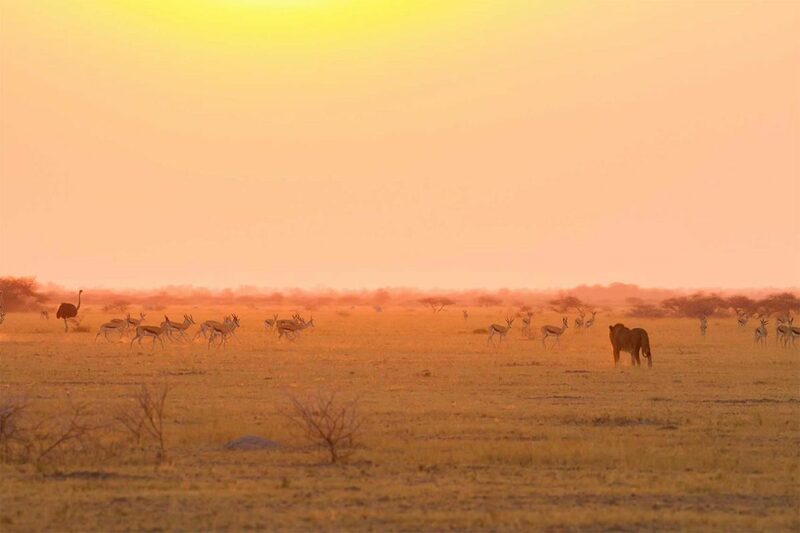 Game is scarcer than parks further north, but the Kalahari has a unique beauty. Grassed dunes and flat mineral rich pans sustain the life here. 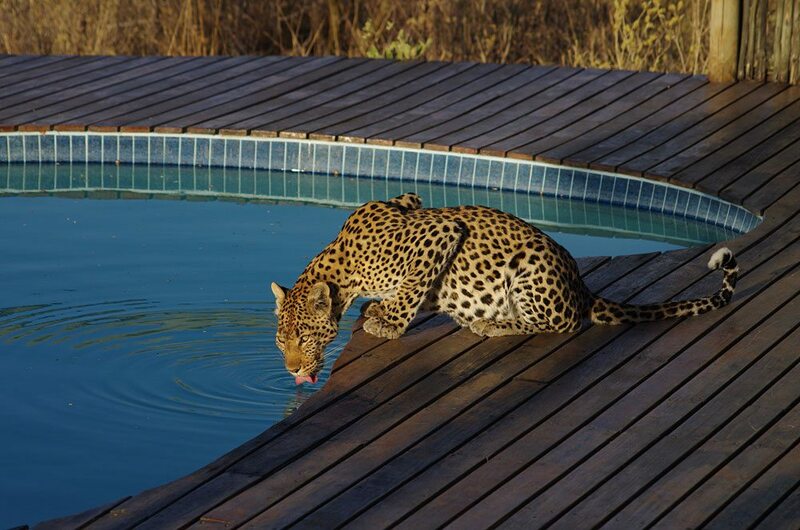 The local wildlife has adapted and uses the surrounding vegetation for water needs. 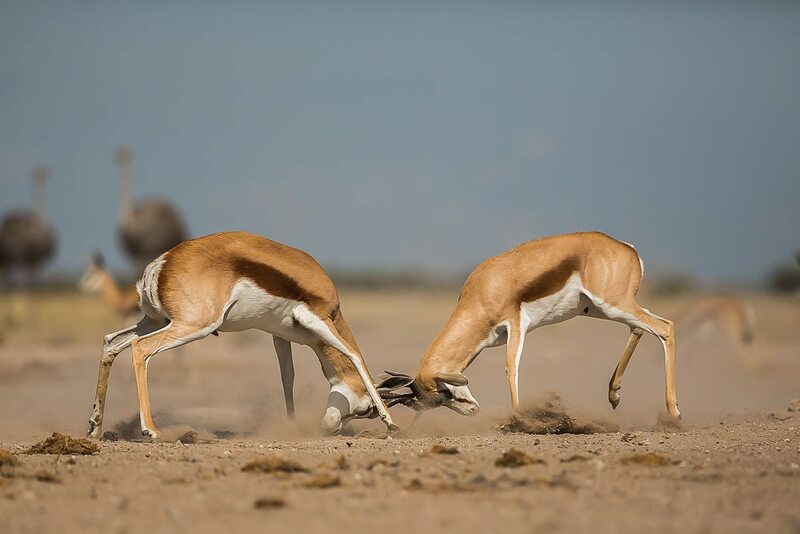 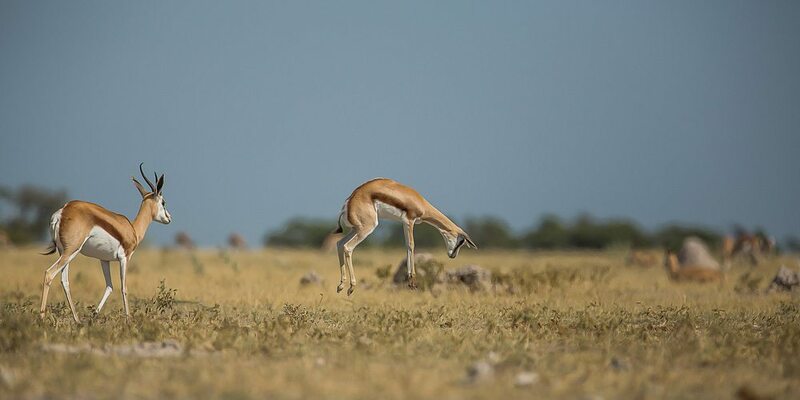 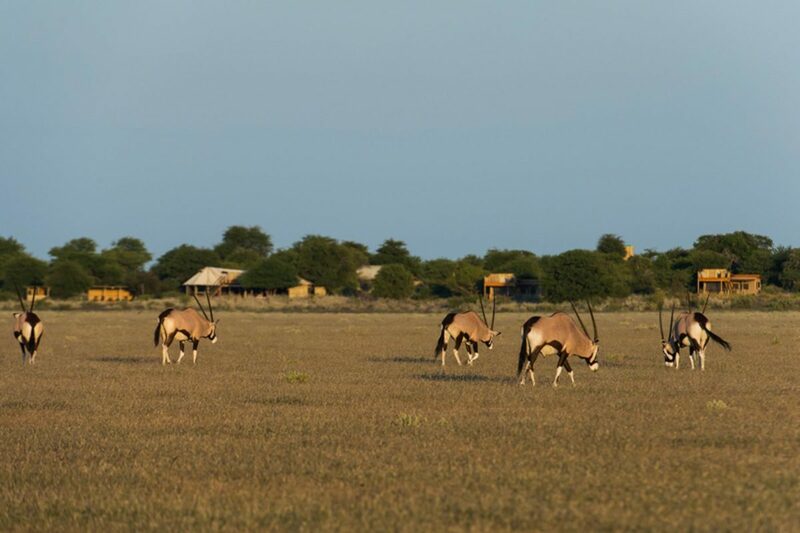 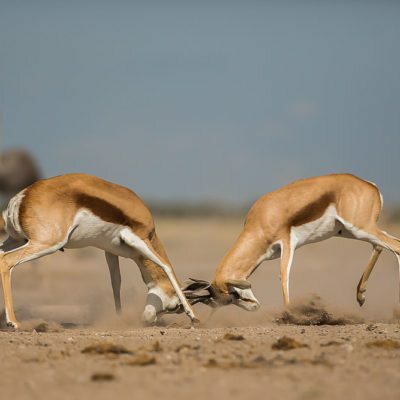 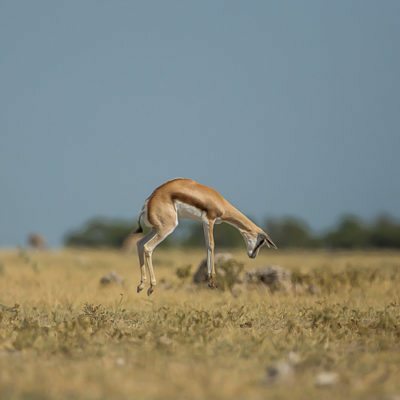 Predators are attracted to the pans where springbok, oryx, hartebeest and wildebeest graze on the sweet grasses. 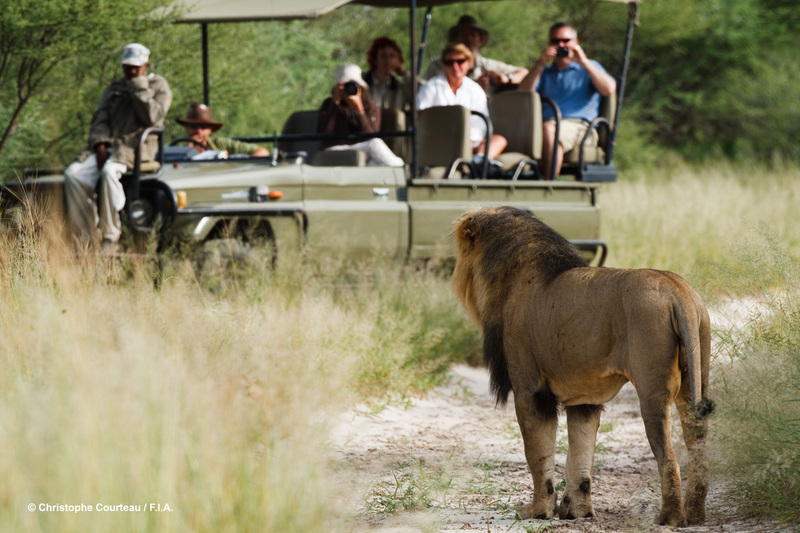 Cheetah, leopard, wild dog and massive black-manned Kalahari Lions can be seen hunting on the open plains. 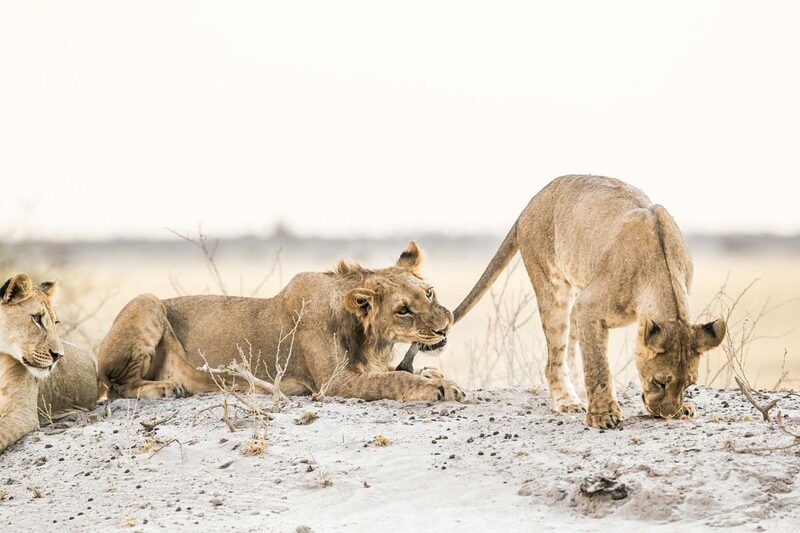 A lot of the predator viewing here is based around visiting waterholes, especially for lion. 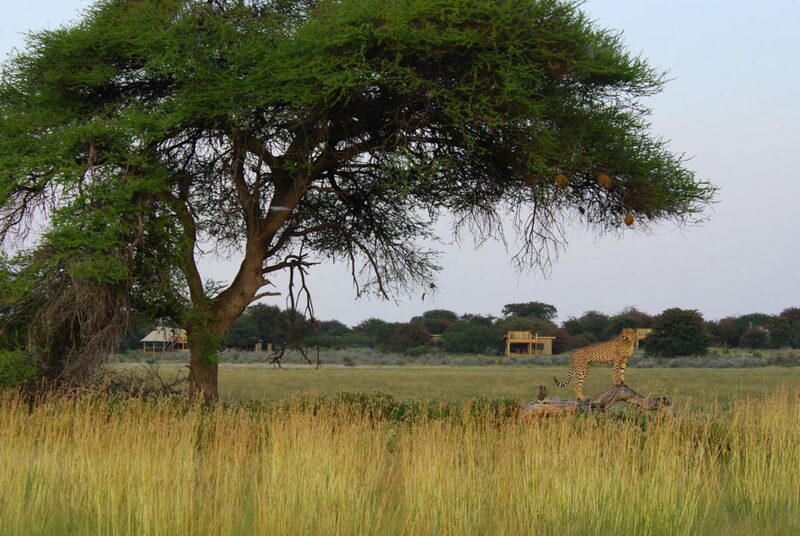 Cheetahs are fairly regularly sighted in the open grasslands. 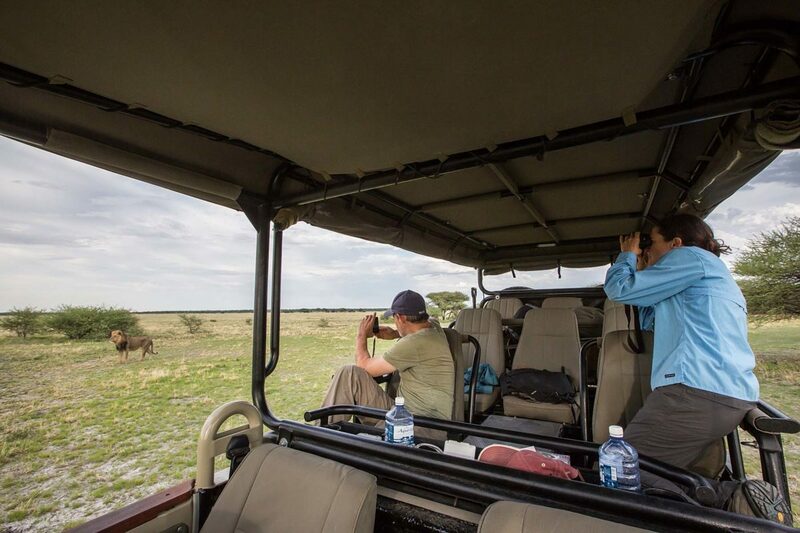 Amazingly, we have also started to see elephants in this park and the numbers of lions seem to be increasing (although they sometimes remain elusive). 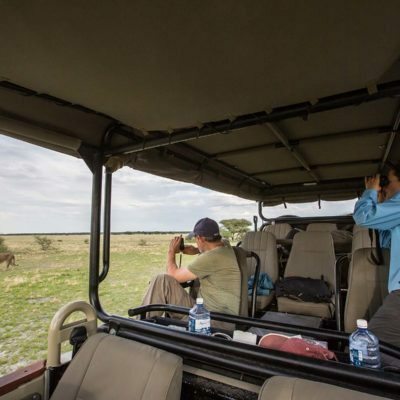 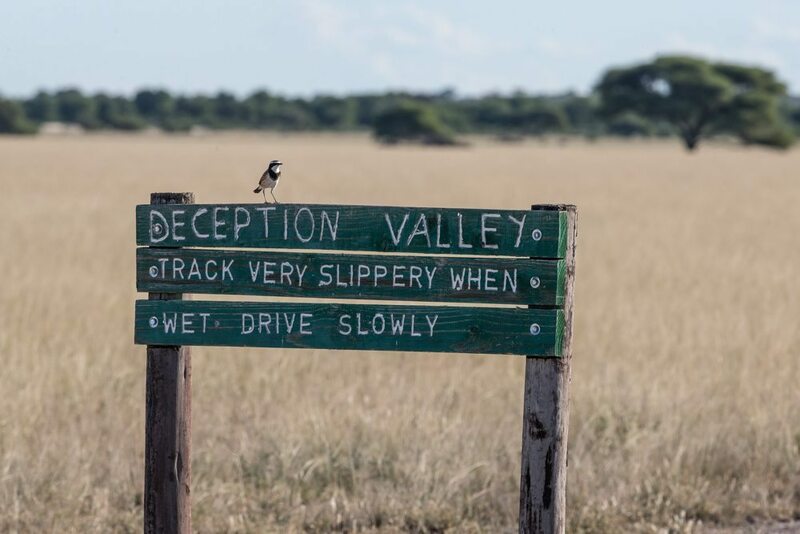 You must be prepared to do fairly extensive game drives in this park as distances between the water sources are big. 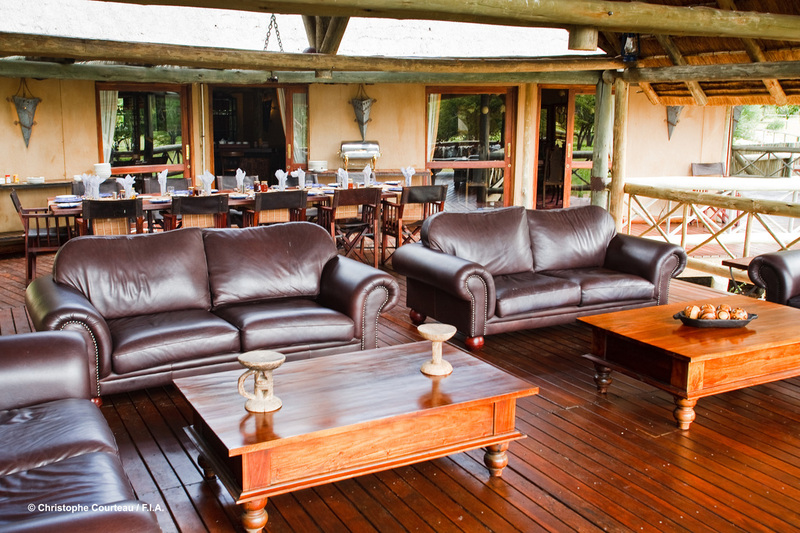 Lodges often go out on day trips in order to do some of the bigger “circuits,” and you picnic somewhere for lunch. 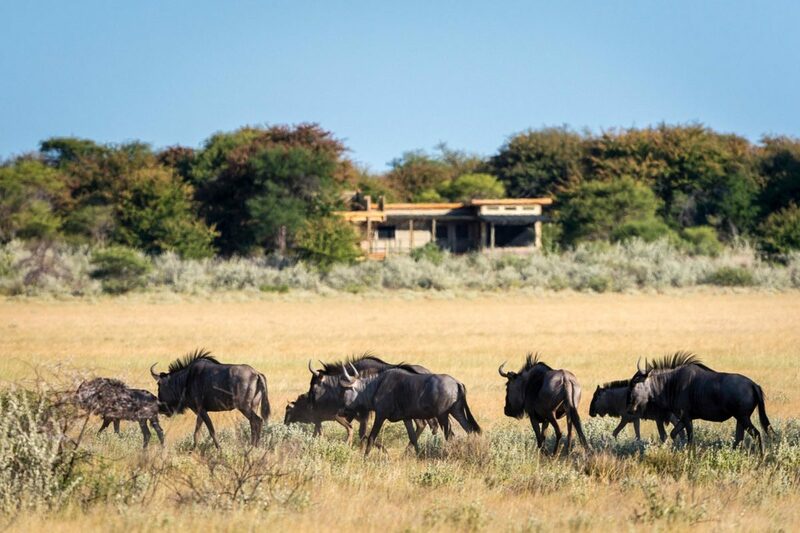 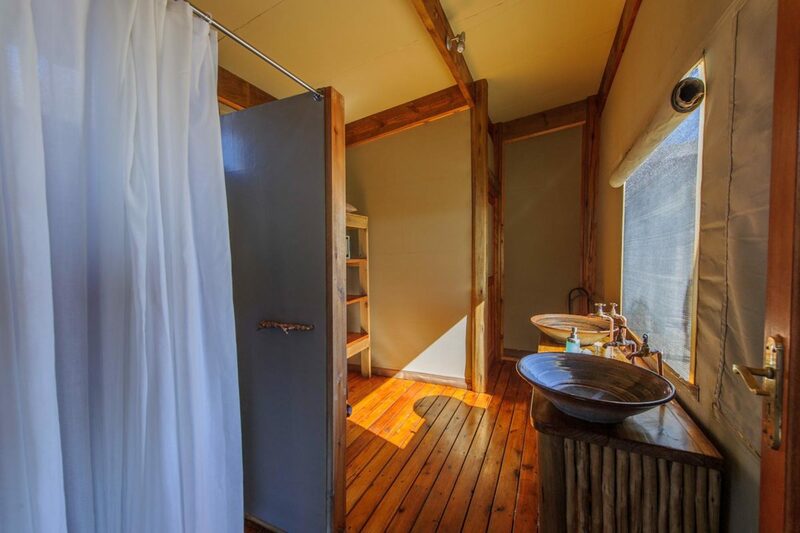 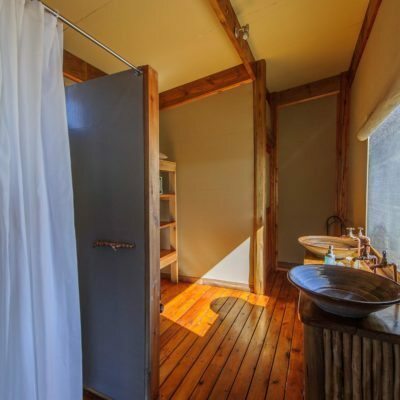 There are not many lodges in the park (a good thing really) but all are of a high quality and of similar standard. 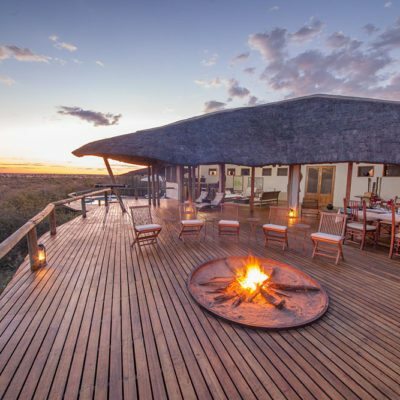 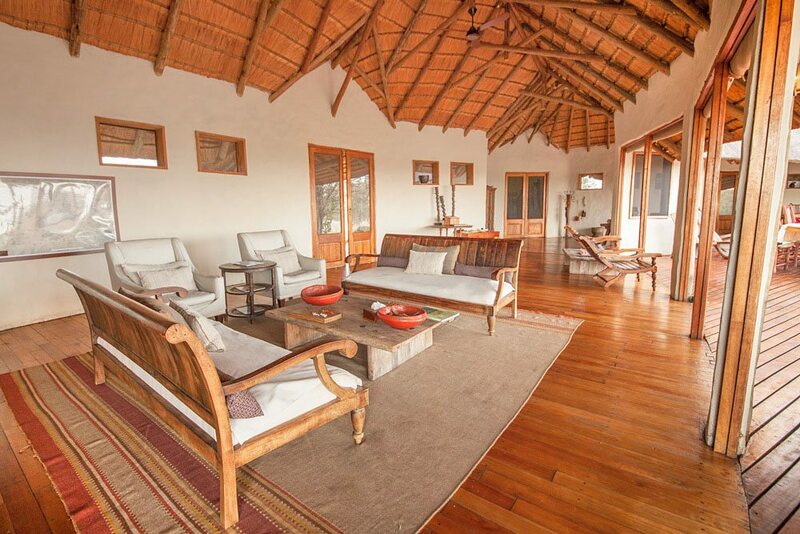 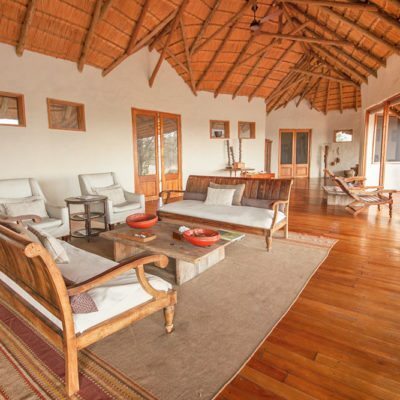 Imagine living here – as the bushmen do. 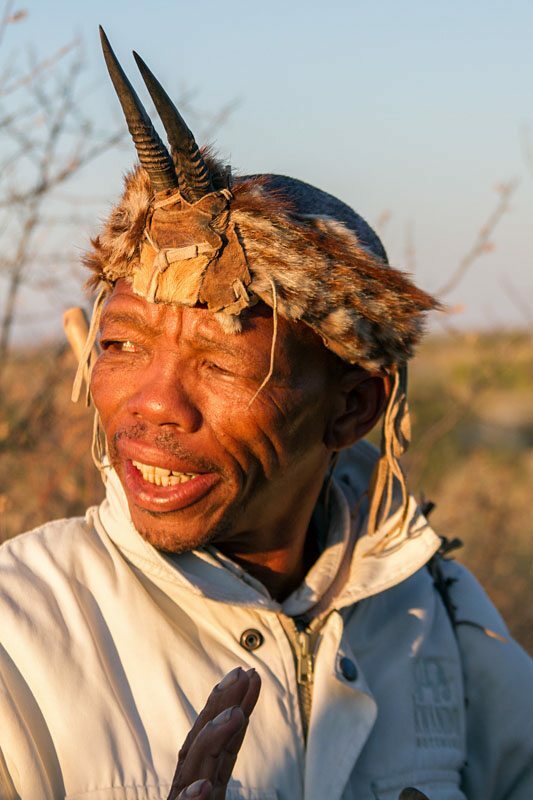 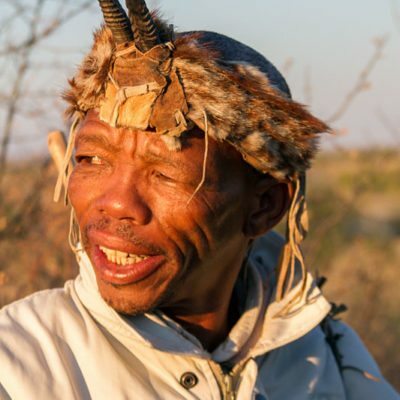 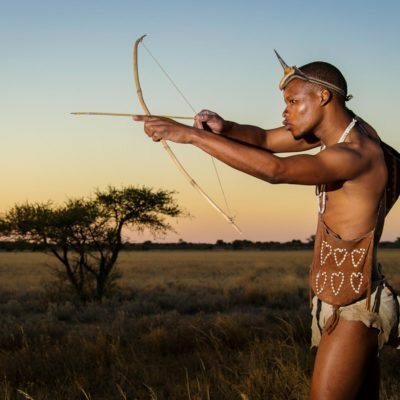 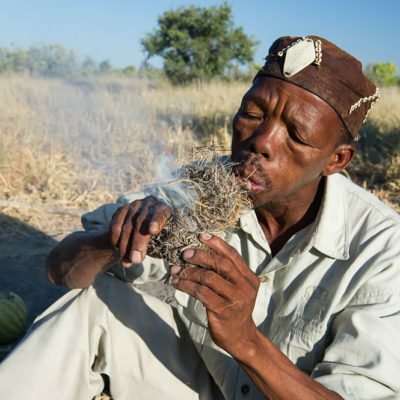 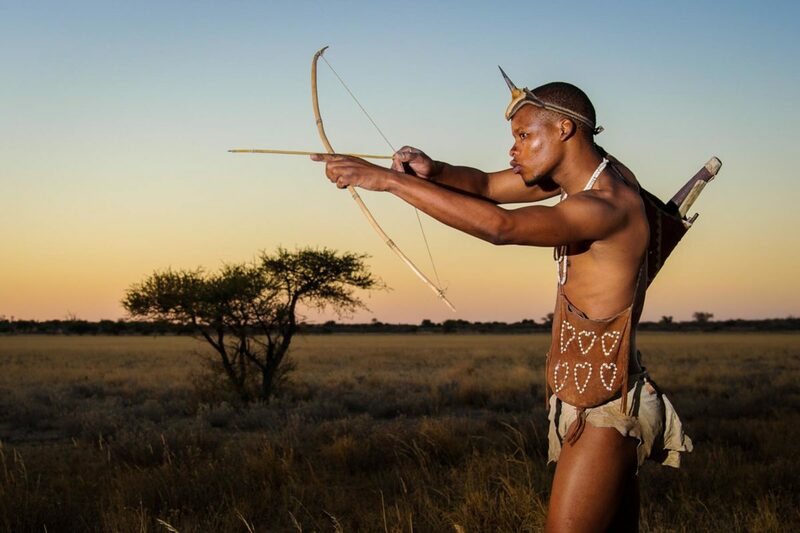 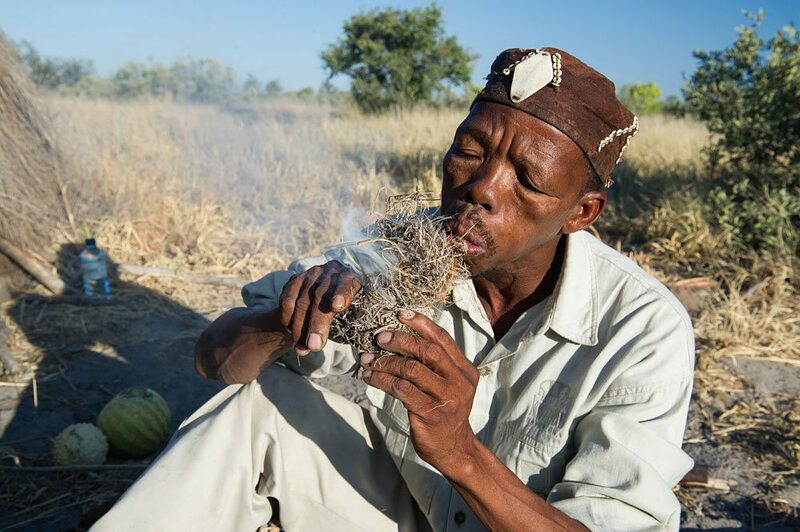 Most lodges offer walks with local bushmen to learn about their former way of life. 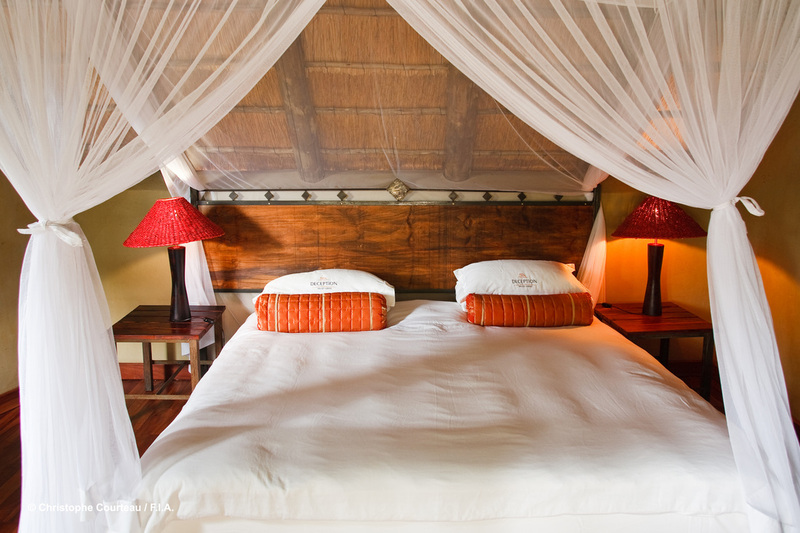 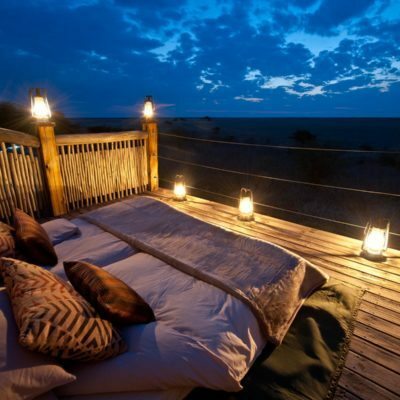 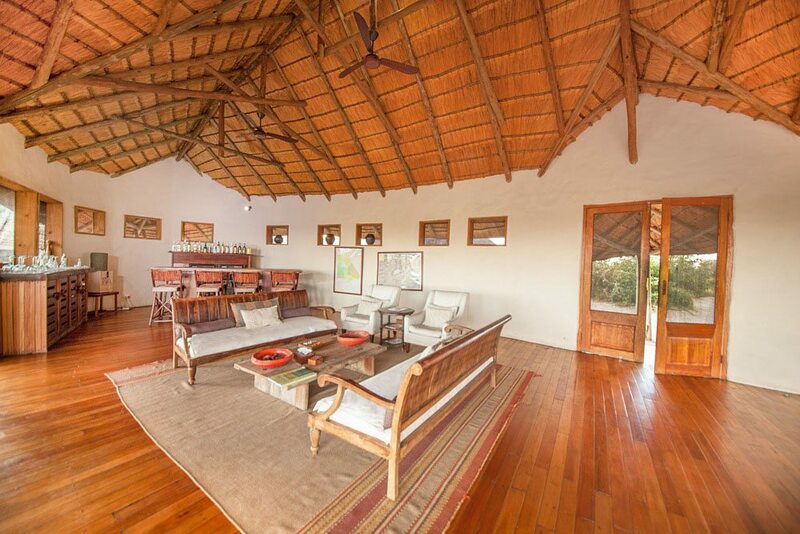 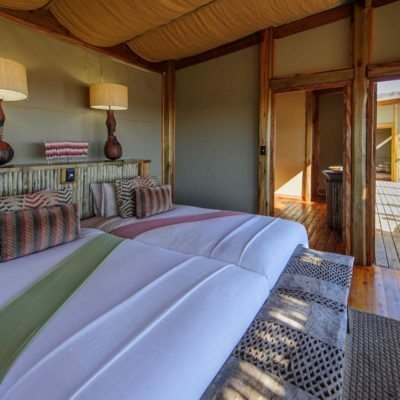 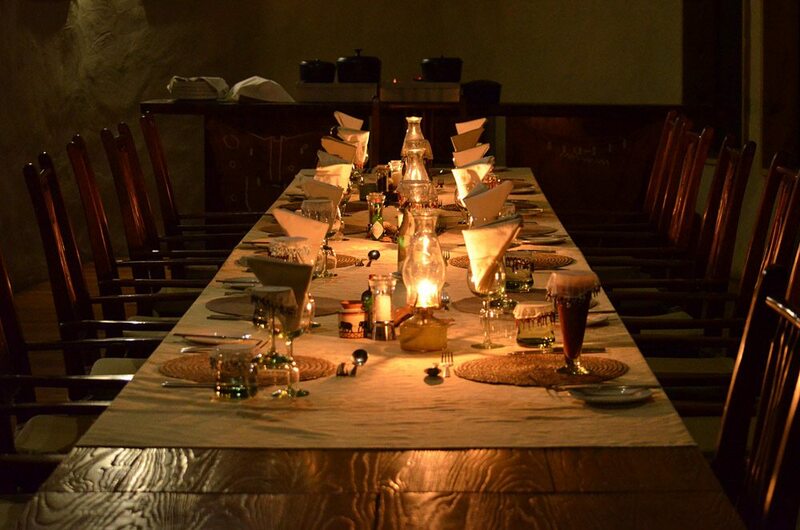 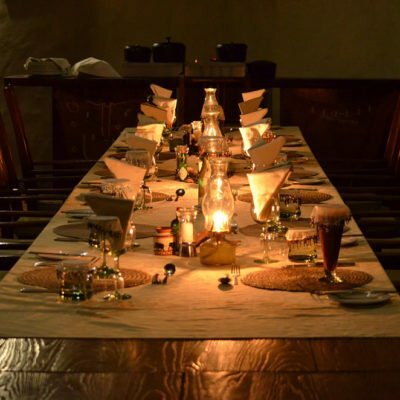 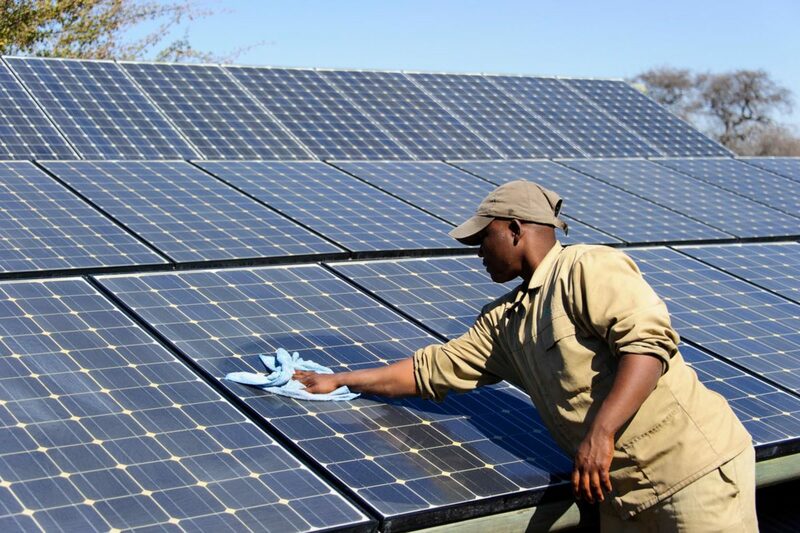 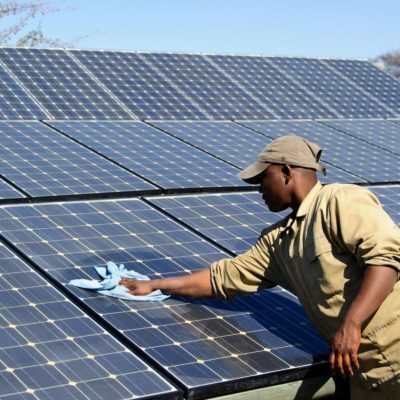 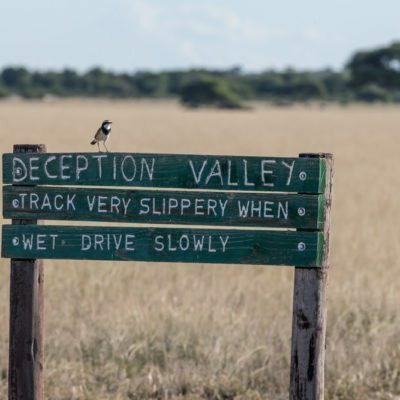 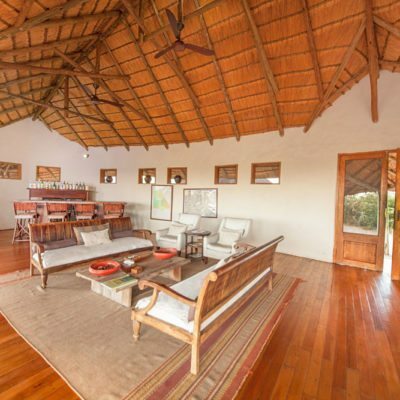 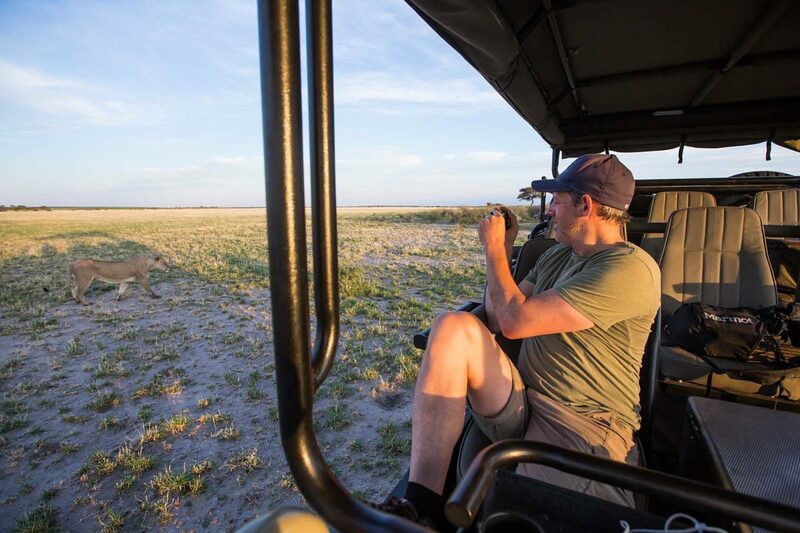 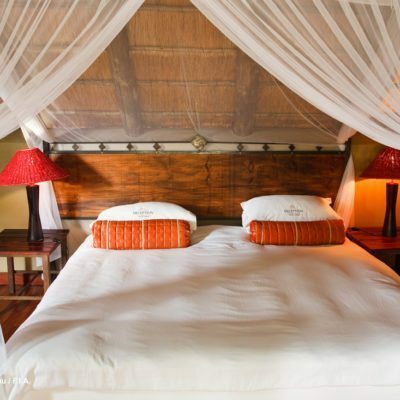 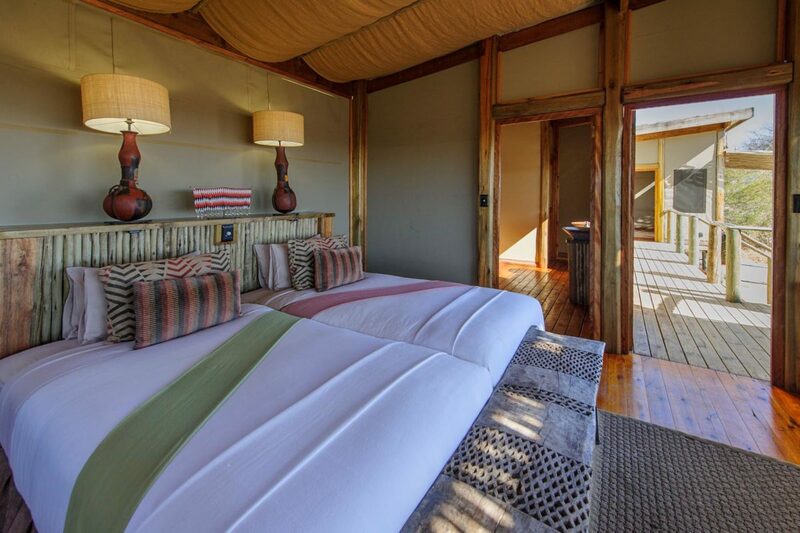 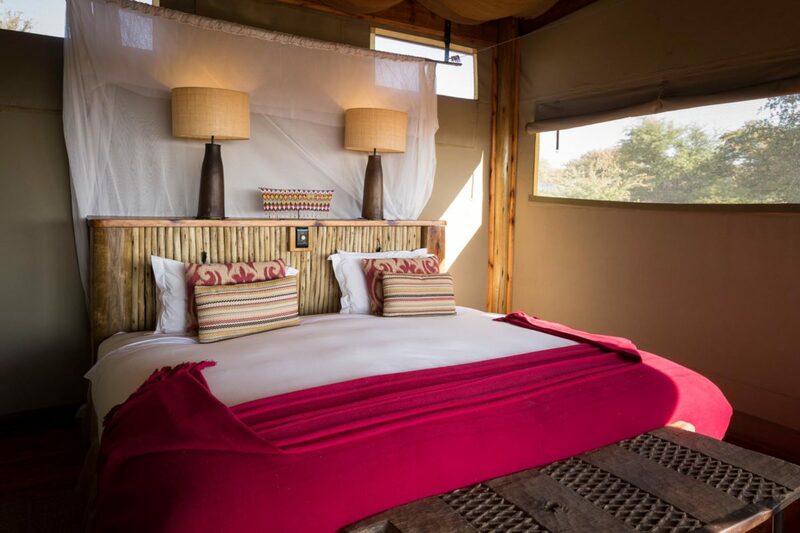 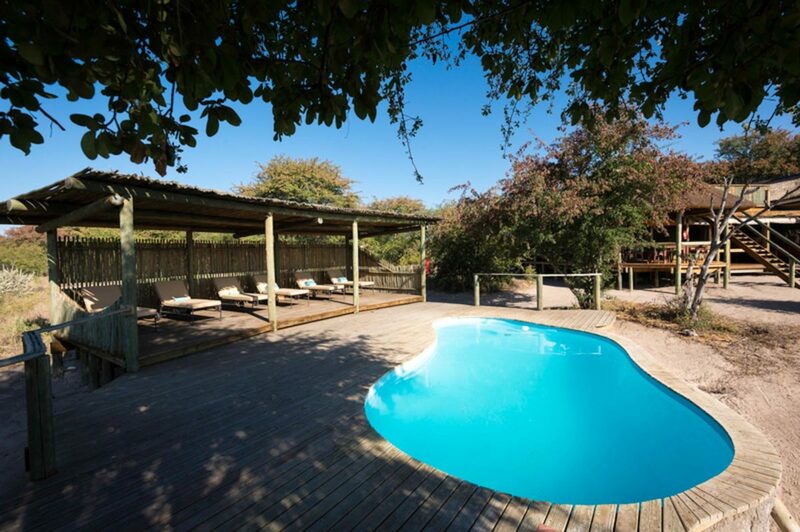 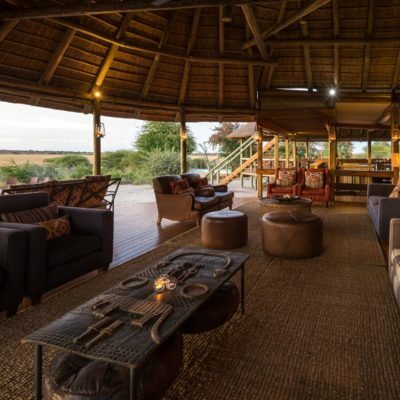 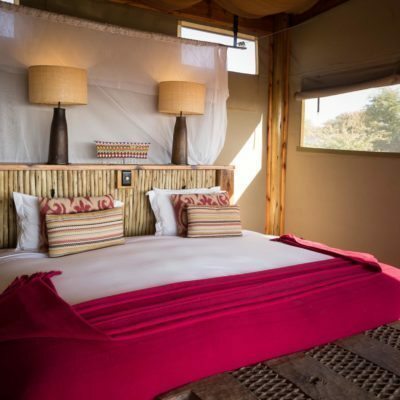 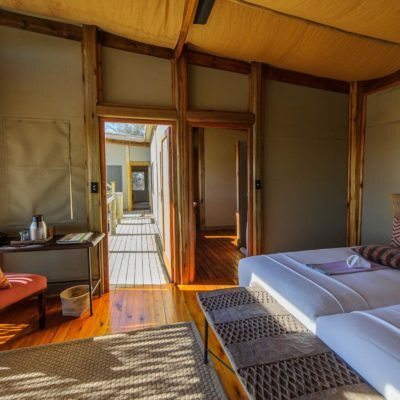 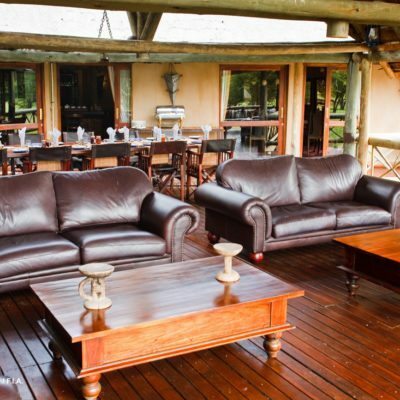 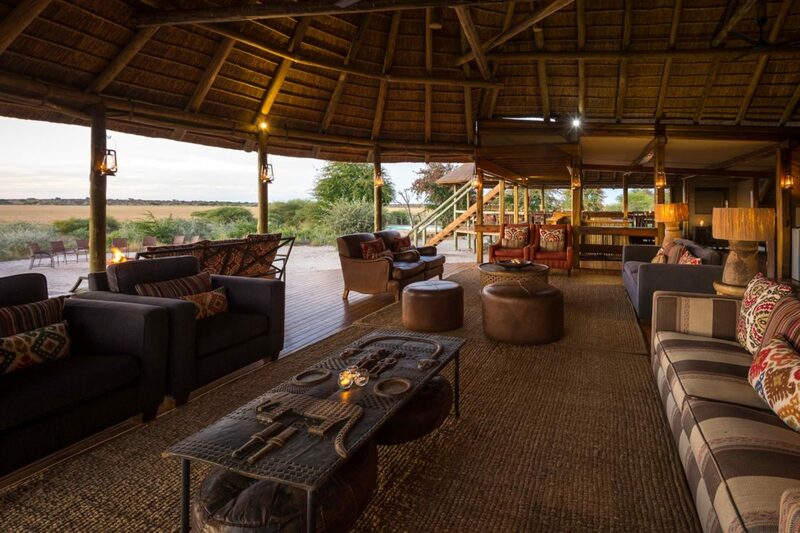 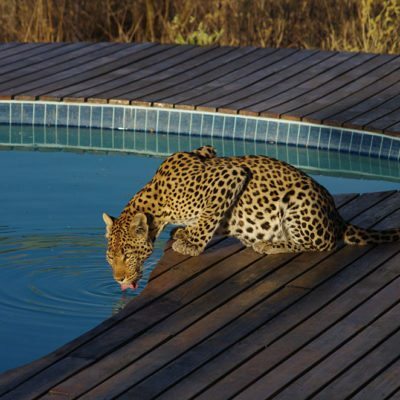 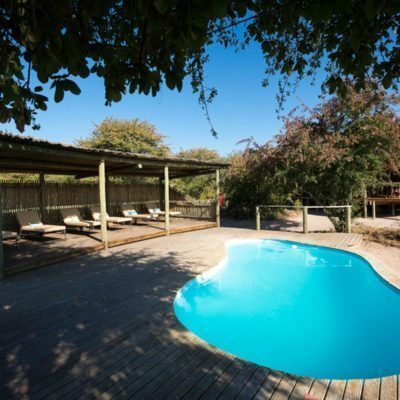 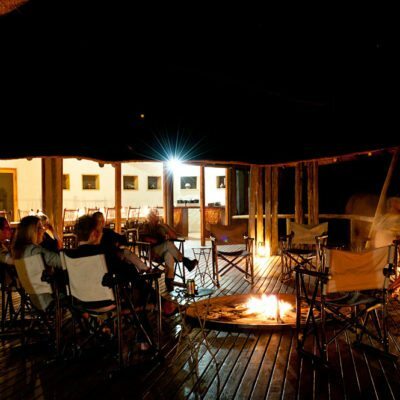 Otherwise, activities are focused around game drives (no night drives are allowed). 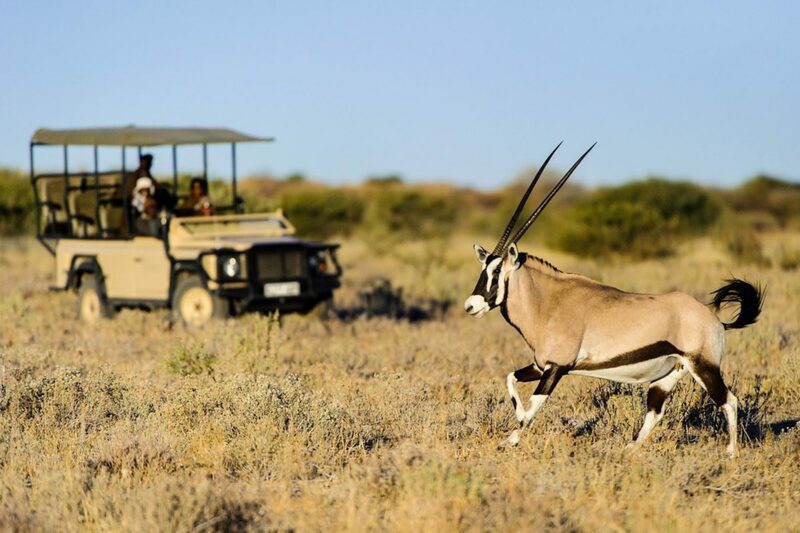 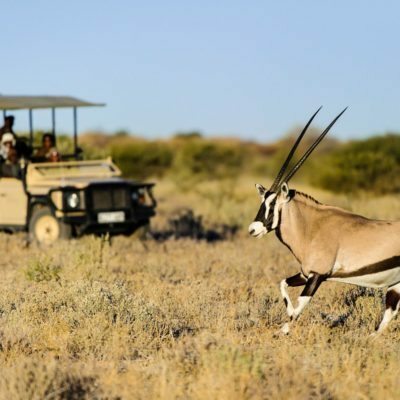 Some lodges also have the bushman on the game drive vehicles with you to act as spotters and to add insight into animal behaviour. 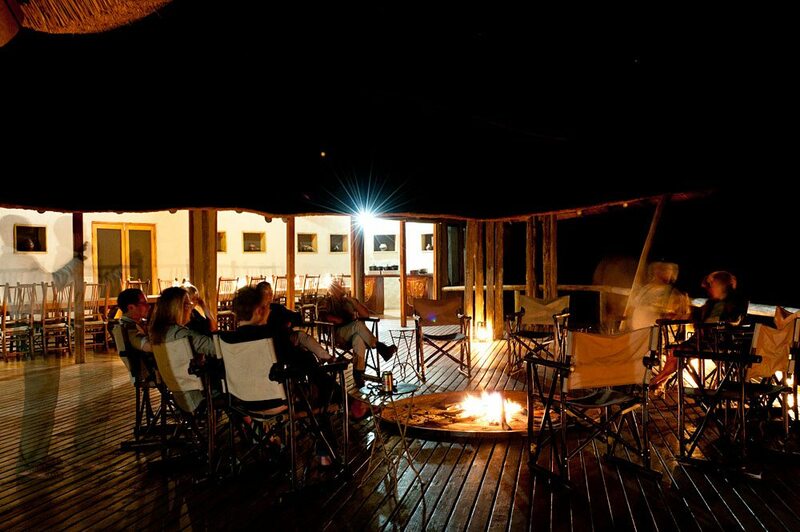 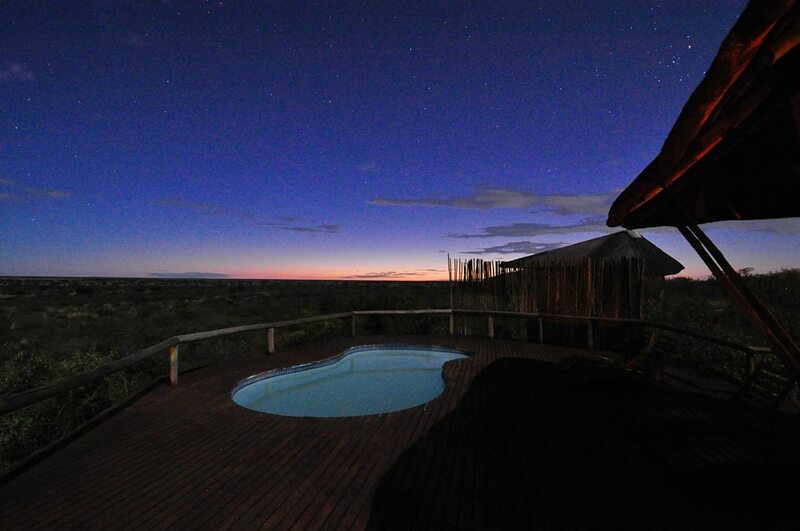 To see stars on clear Kalahari nights is to see them as you have never seen them before. 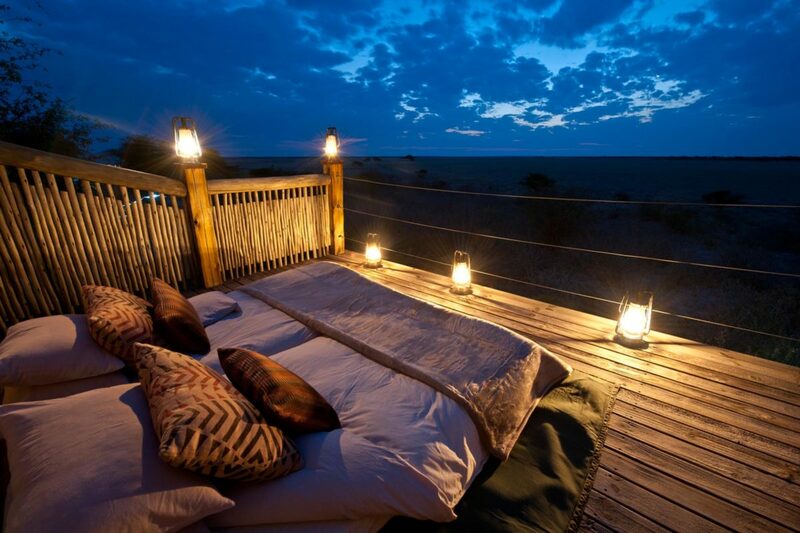 At night, the desert is awe-inspiring and we recommend visiting it. 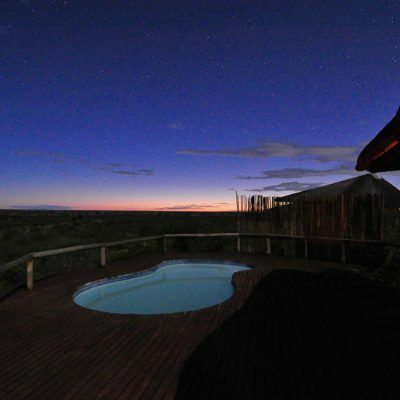 Unfortunately, there are no lodge properties that have high quality telescopes, but we can arrange a star expert to join you for a night or two. 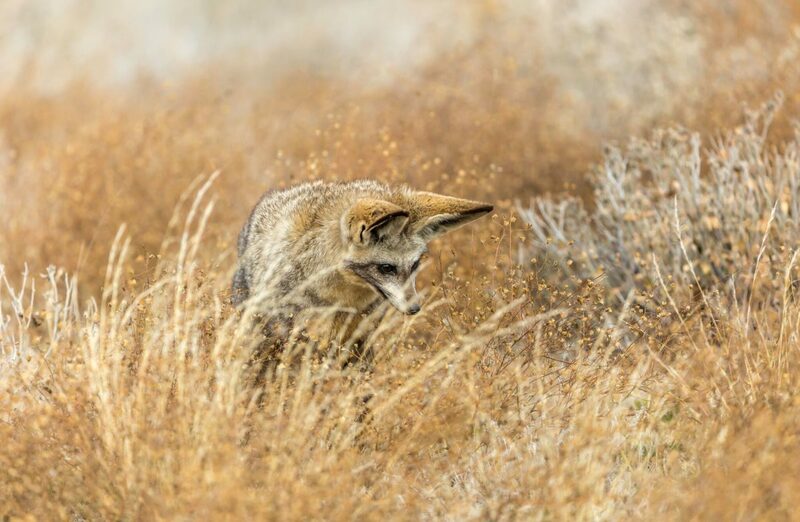 The park is exceptional all year, but rains (typically November to March) prompt an explosion of life – this is the best time to visit. 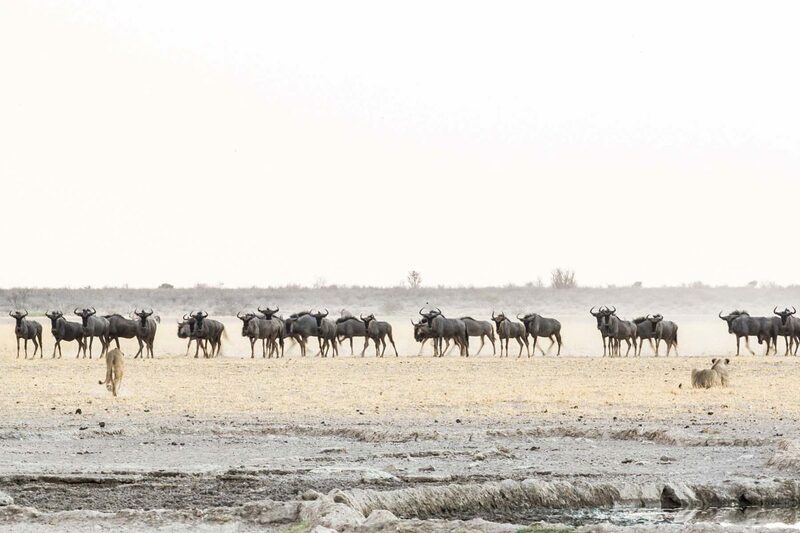 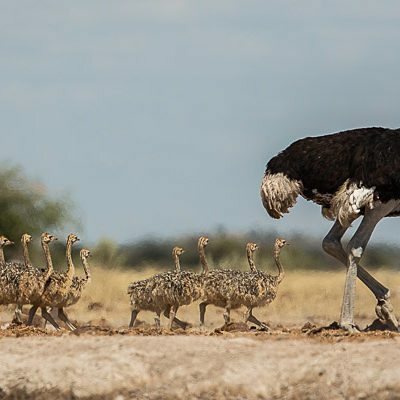 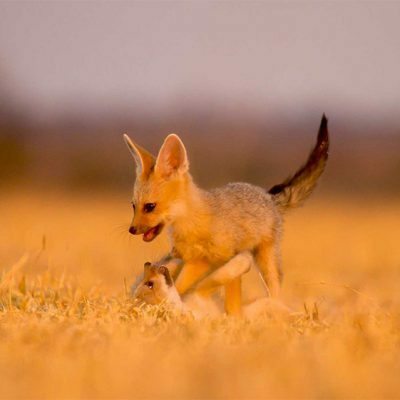 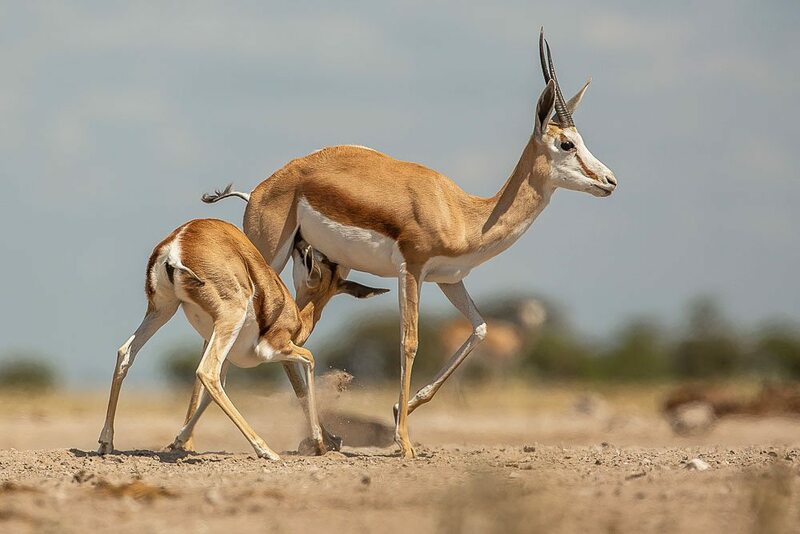 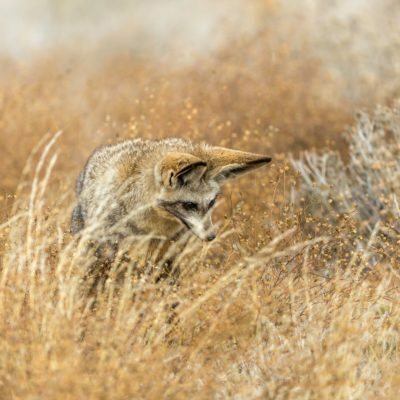 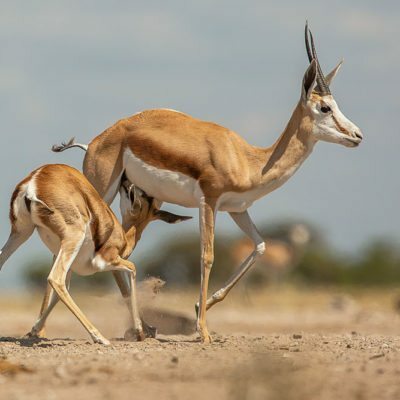 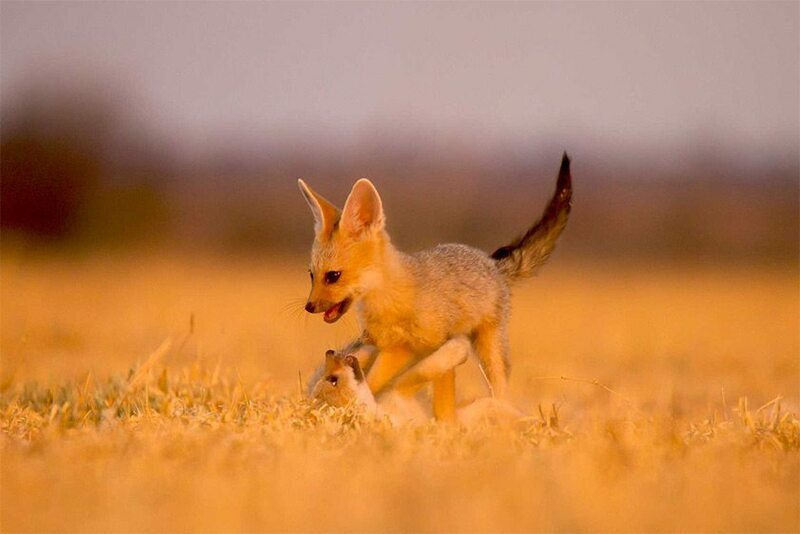 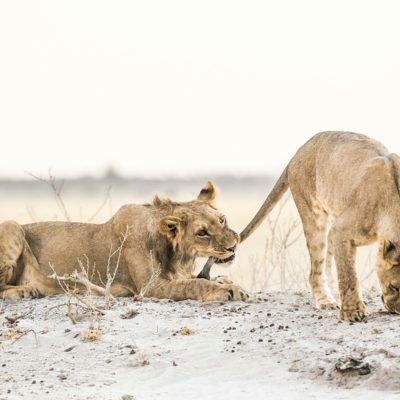 The Kalahari reveals its secrets slowly, so don’t always expect daily predator and action packed sightings. 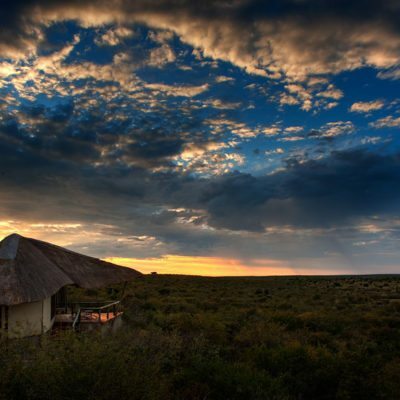 However, it is still one of OUR favourite destinations because of its charm and remoteness.